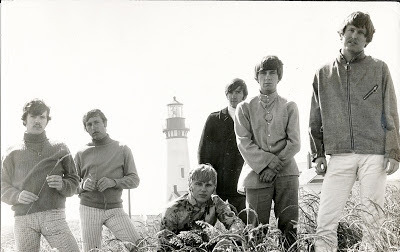 The journey of The Morning Reign, 1966-72, was peppered throughout with lots of travel, whether we were playing gigs in Crescent City or Aspen, and we also made a gaggle of trips to LA to record, or once, to film a TV appearance. During this time we used several vehicles, but in 1969 we purchased, with our hard earned lira, a brand new Ford Chassis Cab truck, from a Ford dealership in Salem, which we outfitted with a 12 foot long cargo box, and divided it in half, the rear for the equipment, (man we could stuff that area), and the front half for two double bunk beds, where we could actually sleep during our overnight drives to some God forsaken coastal burg. Cac and Doug did almost all the driving, which was such a blessing, since they could get us from point A to point B responsibly and, well, alive. But Doug liked to joke that, during those times when he would fall asleep, it was no problem, cuz he always woke up when he hit the little alarm bumps on the sides of the roads. Instilling such confidence in a young father. 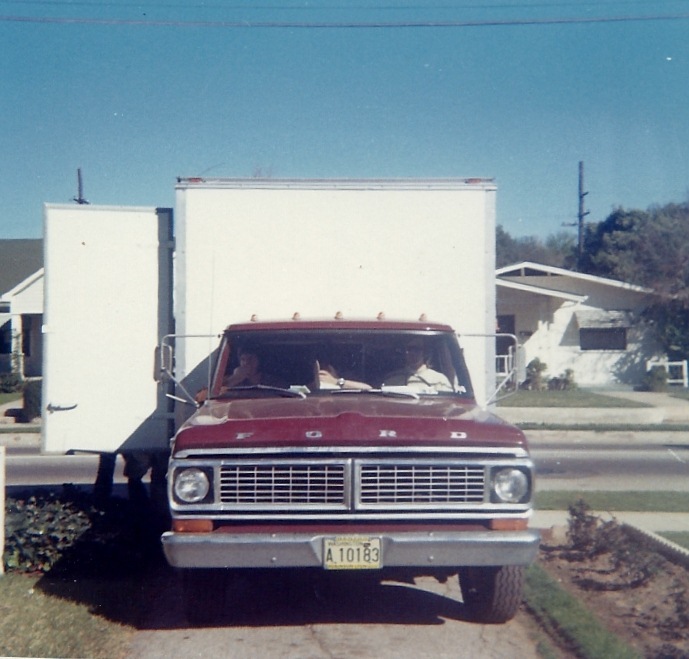 Here are a couple photos of the aforementioned truck, our pride and joy. 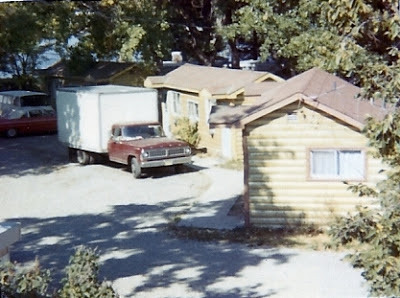 I sat in that passenger seat many a time, keeping Shad awake. In 1968 The Reign traveled to LA to do some recording, and we stayed at the home of Cac's folks, in South Pasadena, which was very comfortable for us all. We drove the truck down, and proceeded to fill our days and nights with clothes shopping, recording, and playing gigs at night. Ah the energy of youth! We played three gigs on that trip. The first day we backed up a fantastic band from LA, Thee Midniters, at some sort of teen dance. We were all familiar with Thee Midniters big instrumental hit, "Whittier Boulevard", and were anxious to meet them and see them play. They waltzed into the venue carrying some of the smallest amps I had ever seen, and then proceeded to blow our minds with their big sound. I mean since we pretty much aspired to a humongus Blue Cheerish wall of amps on our back line. "Let's take a trip down Whittier Boulevard!!!! ", they all shouted as they launched into their famous record. And that's when my chin hit the floor. It was a lesson we probably all needed to learn. The second gig we played was at a high school, with five or six other acts, some kind of daytime gig. 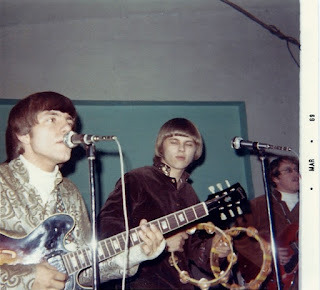 We were one of the featured acts, and played right before The Box Tops, whose hit, "The Letter" was on everyone's lips. Our set went well, with throngs of boppers groovin' to the Reign. It was fun. When our set was over, the Box Tops took the stage and began with their second hit, "Cry Like a Baby", which starts with a drum riff. But the drummer made a mistake, and the beginning of the set was sloppy. The band continued, and finished their set. I was still standing back stage when their set was over. Alex Chilton, the Box Tops lead singer, who passed away in 2010, flew into an absolute rage, calling out the drummer for his error in the first few seconds of their set, actually standing him up against a wall. I was like, Jesus, chill. 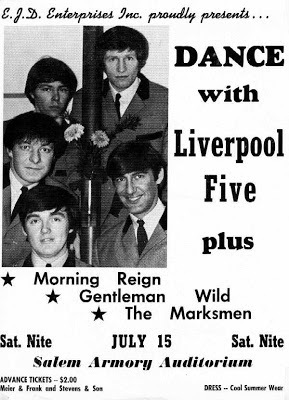 Our third gig that trip was kind of a surprise, because when we got to the venue, we found that we were playing a prom for Casey Kasem, whose daughter had asked him to book a band for her prom. He had dragged his feet and found that no decent bands in LA were available. But he had called around and found out that we were in town, and we took the gig at the last minute. Of course, even though this was in the early days of Casey's radio fame, we were thrilled to get to meet him and play for him. He stayed through the whole show, hanging out in the dressing room, and when it was over, took us aside for some kind words and advice. "You know, the last time I told anyone to record a song, I told Cannibal and The Headhunters to record "Land of a Thousand Dances", Casey said. "But you guys, you've got yourselves a hit there with that song, 'Anyway That You Want Me'. You have to record that!!" Coming from Casey, we thought we just might heed his advice. "Anyway That You Want Me", was written by Chip Taylor, (actor Jon Voight's brother), who had considerable songwriting success, particularly with the classic "Wild Thing". 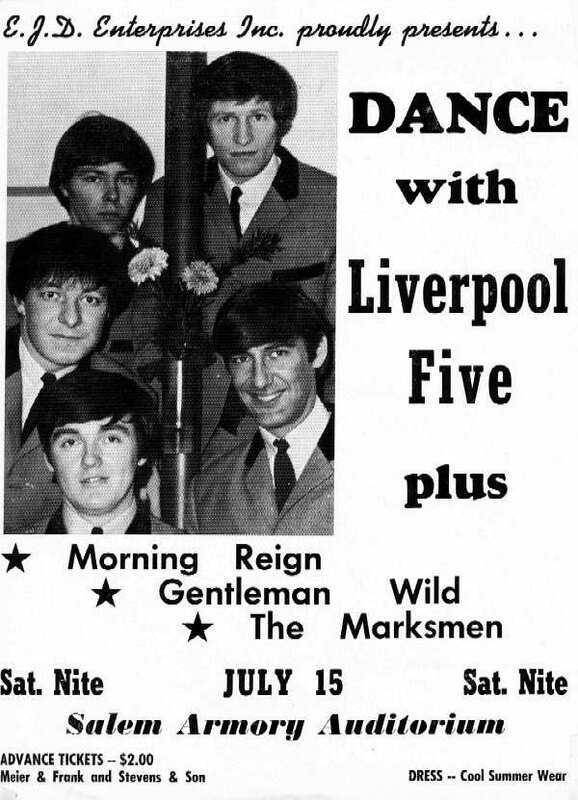 We had first heard it when an English group, "The Liverpool Five" who had a minor hit with it, was touring the Northwest, and we played on the same show. So we ripped it off. But Gene had come up with a killer guitar figure to play in the vamp, and he sang it beautifully, which I think was probably the charm of our version. So we went with Kaseys advice, put the thing down on tape, and released it as soon as possible. It got a lot of airtime in The Northwest, and was probably our most popular self produced song. Here's Gene, in 1969, croonin', meltin' hearts. And here is the formerly lost recording of "Anyway That You Want Me".